The 5K route will begin at the Johnson County Hospital, meander around Tecumseh, venture past the Johnson County Fair, and end back at the hospital. A water station will be located at the City Park. 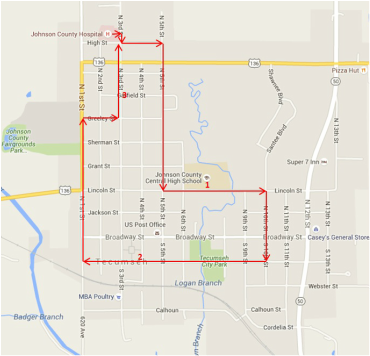 The 1 mile route will also begin and end at the Johnson County Hospital.